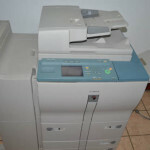 This working laser copier is great for a small business or ministry that needs increased capabilities for printing and copying at 60 pages per minute. I checked with our tech and he said that it works fine but copies exiting the printer are sometimes a little crooked instead of piling up straight. 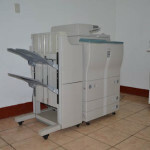 So, if you’re looking for a black and white printer that will get your ministry or small business printing this could be it! Reason for sale: We upgraded. 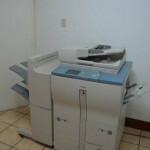 Read a detailed description of the copier here. 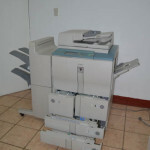 Toner and repairs are available in Guatemala! 60 A4 ppm. Digital System Solutions that seamlessly integrates across networks. 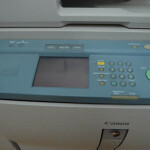 Multi-tasking Copier, Printer, and Scanner. 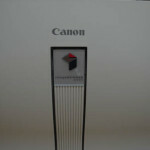 This entry was posted in business, For Sale and tagged Canon, for sale, ir6000, printer by michaelshead. Bookmark the permalink.